Hepatocellular cancer is the fifth most common cancer, with 600,000 new cases reported each year worldwide. Additionally, exciting changes in the science of HCC in the last four years have turned the practice of diagnosing and treating the disease upside down. 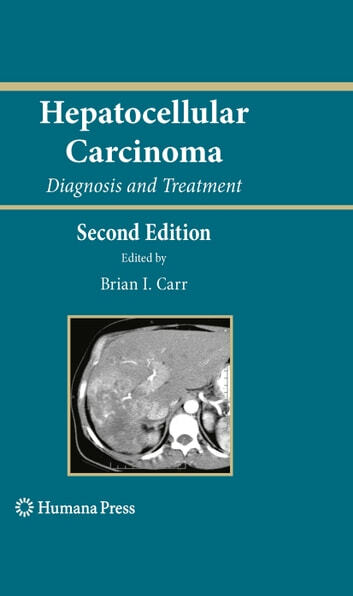 In Hepatocellular Carcinoma: Diagnosis and Treatment, Second Edition, the leading experts in the field of HCC thoroughly update and expand upon the critically acclaimed first edition with all the latest developments in the diagnosis and treatment of primary liver cancer. 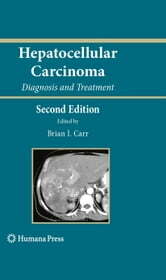 The book details for physicians the diagnostic and therapeutic decision making process for dealing with such problems as incidental tumors in the liver transplant, the role of neo-adjuvant chemotherapy, intra-arterial vs intravenous therapy, the uses of embolization, and the significance of portal vein thrombus. New chapters discuss the introduction into clinical practice of cell cycle growth inhibitors, an expanded knowledge of Genomics and Proteomics, and novel ways of delivering intra-hepatic chemotherapy. This cutting-edge text is a vital resource and must have for today’s hepatologists and medical and surgical oncologists.